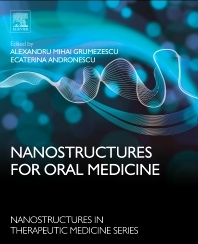 Ecaterina Andronescu is Professor at UPB, Faculty of Applied Chemistry and Material Science, Science and Engineering of Oxide Materials and Nanomaterials, University Politehnica, Romania. He has been the coordinator for more than 80 research projects with national and international funding and author of more than 330 papers (more than 150 in lSI-ranked journals). Her specific fields of interest are biomaterials, nanomaterials and nanotechnologies; anti-microbial anti-biofilm, and drug delivery systems. Prof. Andronescu has received several honorary titles, including Doctor Honoris Causa – from several universities. She is a member of the Register of Assessors of ARACIS, Commission for Chemistry and Materials Science Founder and President of the Romanian Society of Materials; Founder of the Romanian Society of Biomaterials; Founder and member of the Romanian Society of Ceramics; Founder of the Romanian Society of Chemistry; and Member of the European Society of Ceramics.